Manage Issues across a diverse range of business units. Ensures that important issues are elevated to the appropriate level of accountability and attention. Ensures that the cost of investigations are minimised, as low risk issues are handled by low cost solution strategies. More extensive investigations are only justified if the risk to the business justifies extra work. 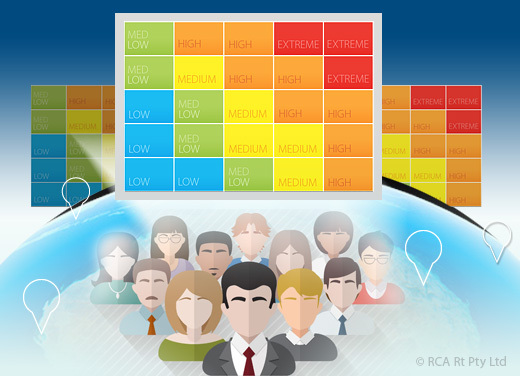 The Risk Matrix in the RCA2GO may be customised to match the Risk Matrix used at the various business units, so that actions approved by risk levels are communicated to the investigation team. Colour coding on the screen and in reports makes critical issues stand out, minimising the chance of apparently small issues causing great harm. 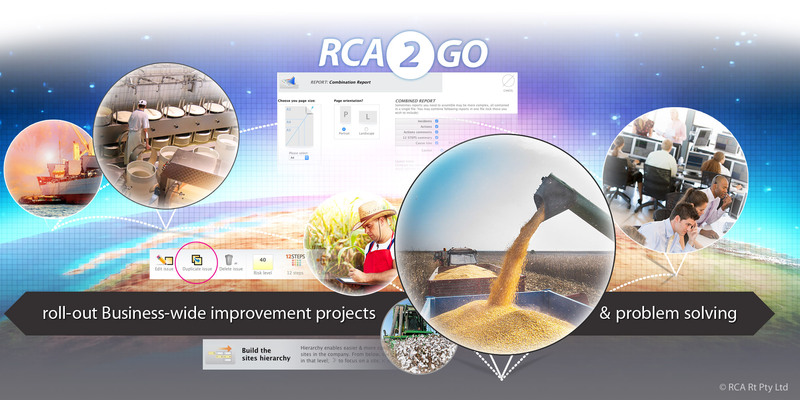 Each Business Unit (BU) within a global organisation network has its own RCA2GO database, so that different business processes, risk structures and personnel practices can be applied securely within different databases. Performance, improvement, and teamwork within each Business Unit can be encouraged. 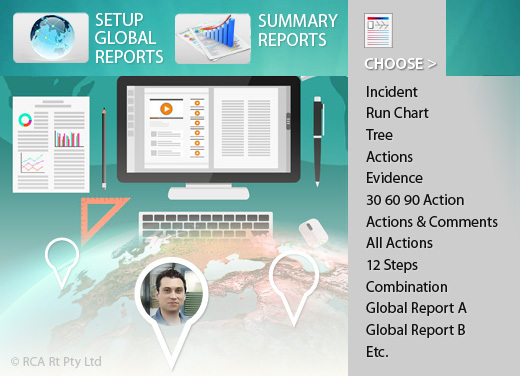 Global reports show what Actions have been assigned and where. Most improvement programs are solutions to a problem. (In best scenarios, they are continuous improvement programs.) The Cause Tree chart for the problem, and associated remedial actions that go with it, can become standard template that may be duplicated across Business Units. 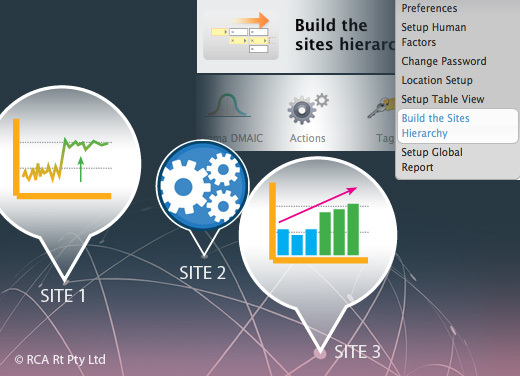 The Business Units customise the templates to reflect the actual problems within their environment. Not only is this faster, but it fosters a common language, so that comparison metrics are based on the same definitions and are therefore more worthwhile.